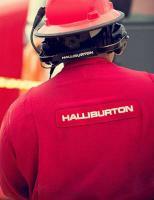 Halliburton Company has announced that it launched drilling operations in the Zhuravlinaya area of the Vostochno-Taimyrsky license block for LUKOIL in early April. The project involves Halliburton constructing a 5,500-metre exploration well in addition to delivering an integrated service package which includes directional drilling, drill bits, drilling fluids, well cementing and other services. The project is well underway and ahead of schedule. “As one of the leading service providers in the oil and gas sector, Halliburton brings significant experience to our project,” says Vitaly Kovalev, deputy GD, LUKOIL WS. An experienced project management team with both Halliburton and LUKOIL members will supervise the project and expects to complete the well in approximately 1 year.